It’s commonplace for consumers to choose food and candy due to its packaging rather than by its taste. In fact, many people make purchases based solely on the way a label or package looks. Reflects your brand personality in a matter of milliseconds. Gives consumers an understanding of the value of your product, even if they have never tasted it. Grabs attention in specific ways. Phase 1 Prototypes specializes in working with clients to create custom food and candy packaging prototypes. Even if you are currently using a particular mock-up, we encourage you to contact us for a second opinion. Sales can often be attributed to the way labels and packaging appeals to consumers. Rather than leave your revenue up to chance, talk to one of the leading experts in the packaging prototype business since 2006. 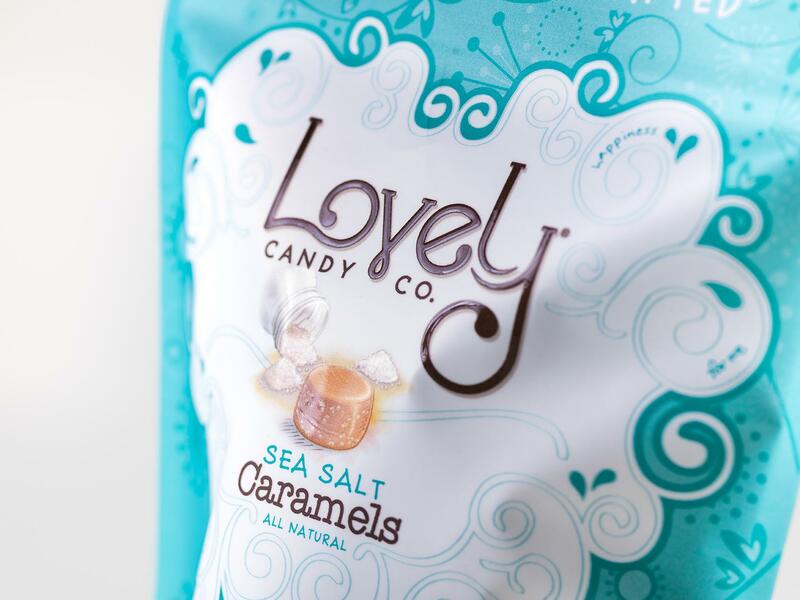 Your packaging should always make a professional statement about your food or candy products. Because we are a visual society, it’s important to spend time on the visual design elements of your packaging prototypes. Print White or Clear Plus White. Our printers are among the most technologically advanced in the industry. This means we can easily print truly white, or clear-with-white, colors. A true white makes an attractive background to other elements of your packaging. Spot Varnish. Spot varnishing is overlaid onto your printed packaging, giving it a sense of texture and dimension. It also catches the light in unique ways, making it seem to “jump out” from the shelves. You can use spot varnishing for most of your overlaid imaging or text, or use it in specific places on your prototype packaging. Metallics. If your product is more suitable for a high-end consumer, you may want to talk with your Phase 1 Prototypes representative about the value of metallic inks. Metallics tend to add a sophisticated look to any type of food or candy packaging and may also increase what consumers are willing to pay for your products. Emboss. When you emboss a candy or food package, you give it depth by raising part of the print surface. Not only does this emphasize your product over another product, but it also builds your brand awareness and highlights brand personality. Foils. Candy and food manufacturers love to add foil packaging because it shimmers and gleams. Plus, it’s a customary type of packaging that easily seals in flavors and keeps perishable items from spoiling. When you start your partnership with Phase 1 Prototypes to develop custom packaging prototypes, your representative will give you a thorough explanation of all your print element options. Contact us today to learn more. Many Phase 1 Prototypes customers come to us for certain applications. This can include the need for short-run food or candy packaging, or test packaging prototypes for events like trade shows. Thanks to our superior printing equipment, we have the ability to quickly, accurately and cost-effectively produce as many packages as you need to meet your goals. Not only does that give you the freedom to print packaging “just in time,” but it also allows you to test different packaging in different markets. Without being able to enjoy a taste of your food or candy, how will the average consumer know it’s right for them? The answer is through distinctive, customized packaging. As part of your relationship with Phase 1 Prototypes, we will help develop the personality of your brand based on how you want consumers to feel about your products. By delving into the psychological and sociological aspects of packaging and consumer reactions, we can improve the chances that your food or candy sales will grow. If you currently have a robust marketing team, we will work hand-in-hand with them to suitably dovetail with their objectives and findings. The better the communication between us and your key players, the better the end packaging will be for your food and/or candy products. Packaging is often one of the last aspects of product development and marketing for food and candy manufacturers and sellers. We understand the realities of your business, which is why we have a system in place to quickly get your packaging to you. As soon as you make contact with us through our online form, we’ll be in touch with a quote in 24 hours. Even if it takes a little more effort, we’re happy to ensure that you get your needed turnaround — even if it’s a rush order.